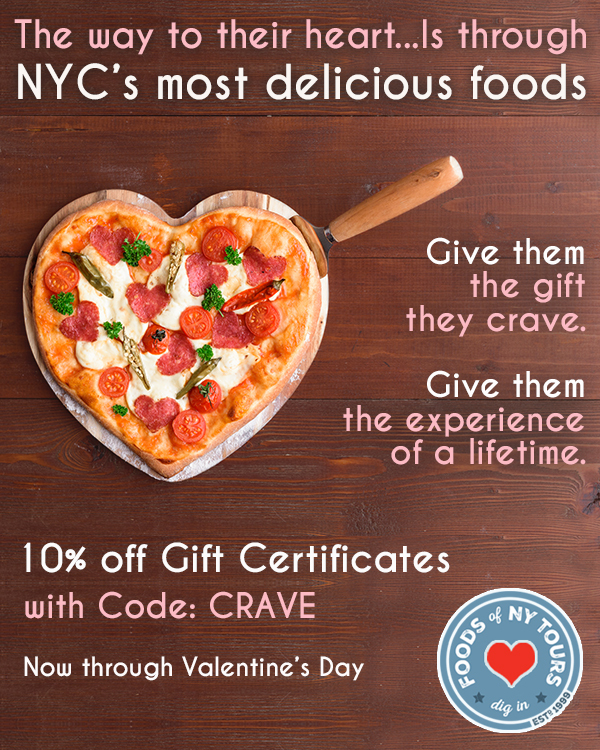 Gift Them the Gift they Crave! 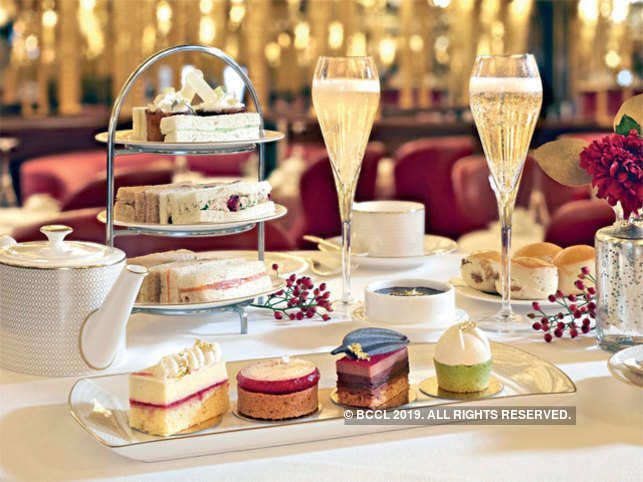 By Danielle| 2019-02-09T15:29:50+00:00	February 4, 2019|Culture & History, Food Tours, Restaurants, Things To Do, What I Ate|Comments Off on Gift Them the Gift they Crave! 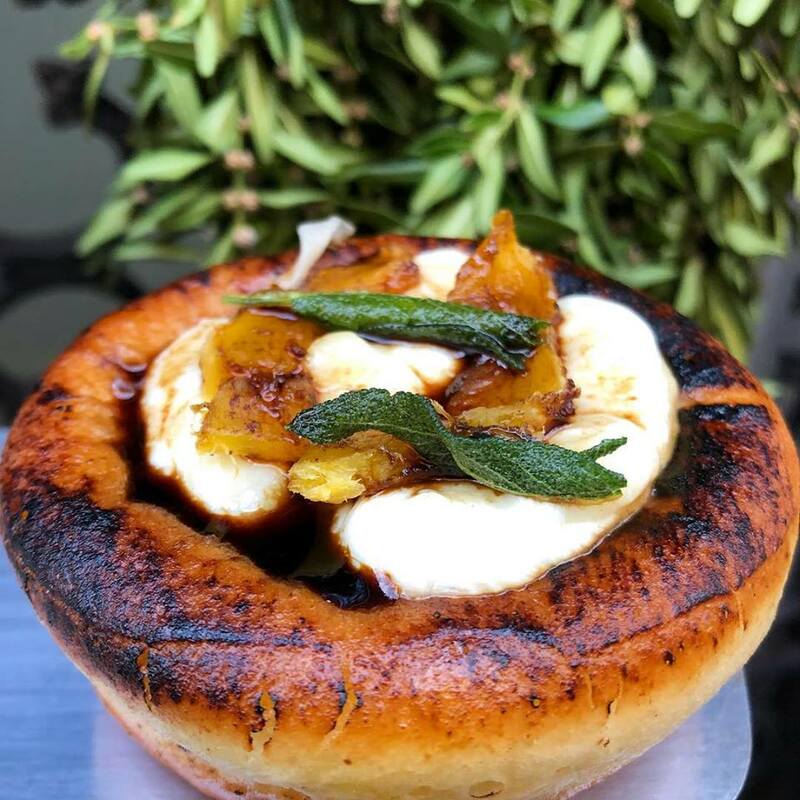 By Danielle| 2019-01-26T13:53:49+00:00	January 25, 2019|Culture & History, Food Tours, Restaurants, Things To Do, What I Ate|Comments Off on Savory Doughnuts for the WIN! 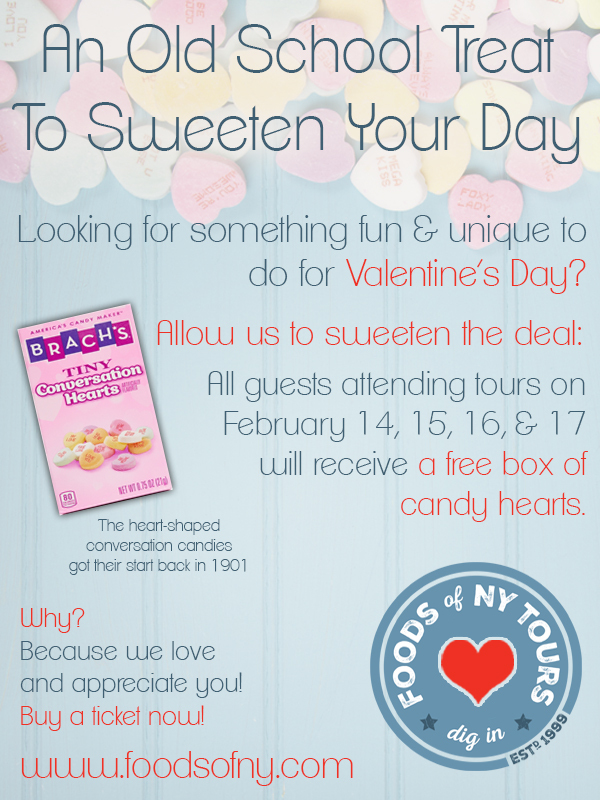 You TOO can win Free Tour Tickets – read on! ***Announcing the PHOTO CONTEST WINNERS for December!*** . 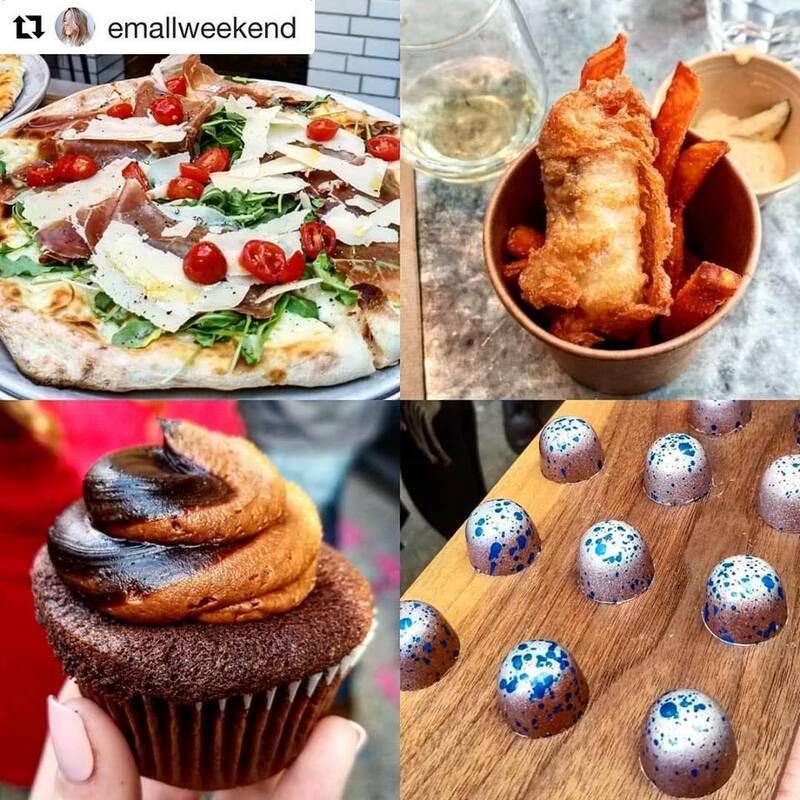 Congratulations to our Instagram Photo contest winner @emallweekend for the great food collage of some of our favorites on our Nolita food tour! . @emallweekend wins TWO FREE tour tickets! Keep submitting photos on Facebook, Twitter, and Instagram for your chance to win each month. By Danielle| 2019-01-12T15:20:47+00:00	January 12, 2019|Culture & History, Food Tours, Restaurants, Things To Do, What I Ate|Comments Off on You TOO can win Free Tour Tickets – read on! 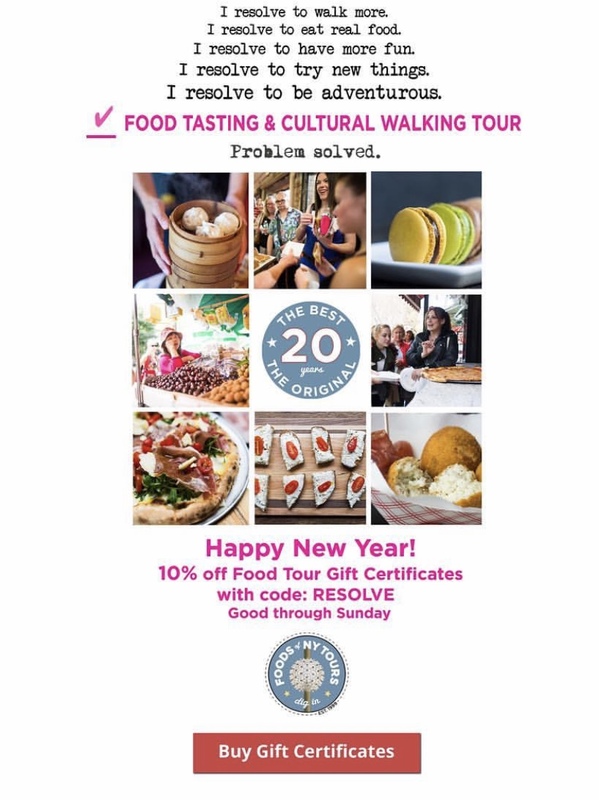 Need a fun resolution? We’ve got you! By Danielle| 2019-01-05T15:11:04+00:00	January 4, 2019|Culture & History, Food Tours, Restaurants, What I Ate|Comments Off on Need a fun resolution? We’ve got you! Deep Fried Balls of Dough – Struffoli! 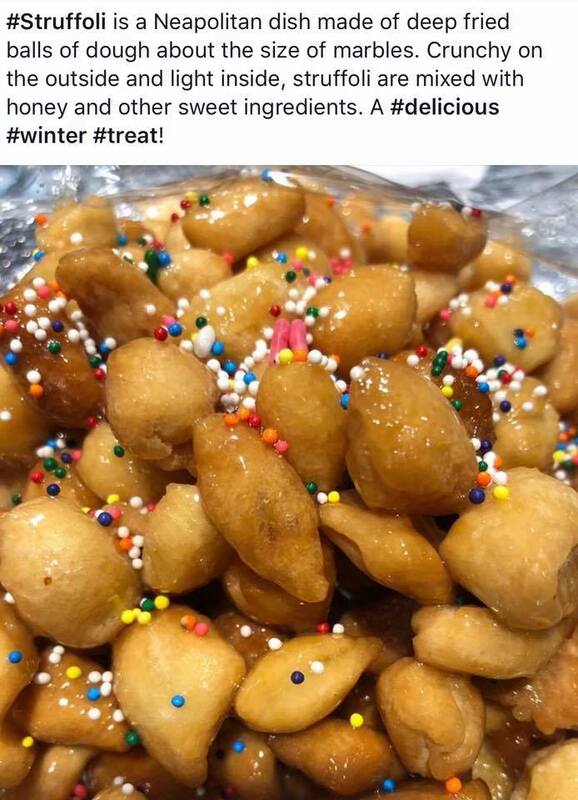 By Danielle| 2019-01-05T15:24:55+00:00	December 25, 2018|Food Tours, Restaurants, What I Ate|Comments Off on Deep Fried Balls of Dough – Struffoli! Spaghetti and clams from Rafele – mmmmm! 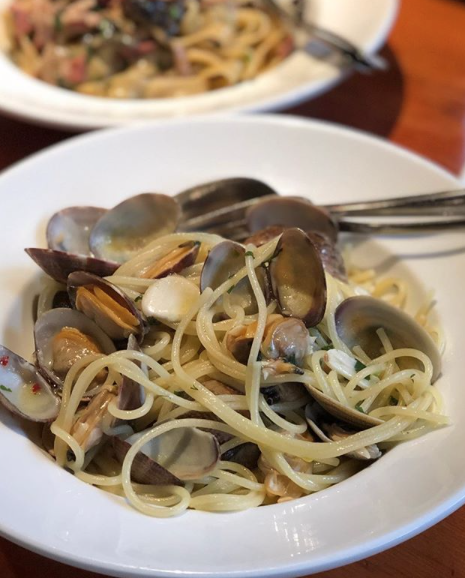 By Danielle| 2019-01-05T15:30:37+00:00	December 14, 2018|Culture & History, Food Tours, Restaurants, What I Ate|Comments Off on Spaghetti and clams from Rafele – mmmmm! Hamilton?! Nahhhh. We’ve got the GOD OF GUIDES! 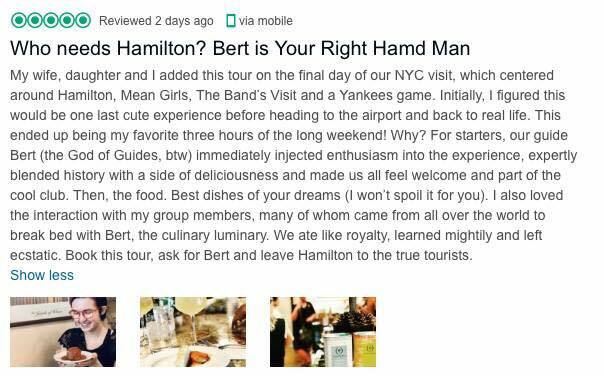 By Danielle| 2018-10-20T14:43:17+00:00	October 23, 2018|Culture & History, Food Tours, Restaurants, What I Ate|Comments Off on Hamilton?! Nahhhh. We’ve got the GOD OF GUIDES! 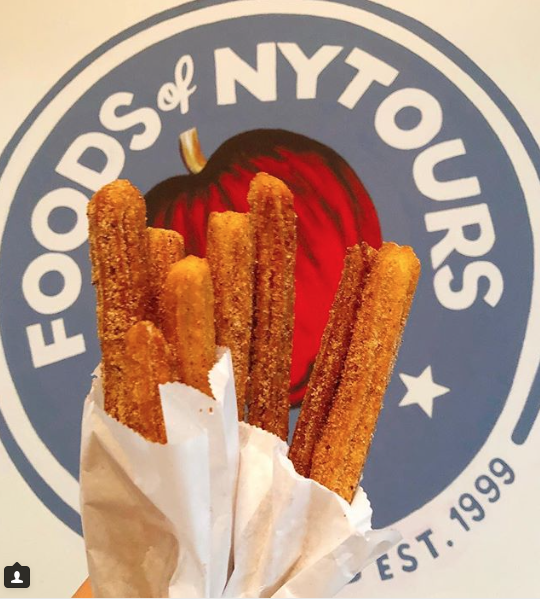 Heading into the weekend armed with our fistful of churros from La Newyorkina! Sugary, warm, delish! By Danielle| 2018-10-20T14:43:50+00:00	October 20, 2018|Culture & History, Food Tours, Restaurants, What I Ate|Comments Off on 3 Cheers for Churros!